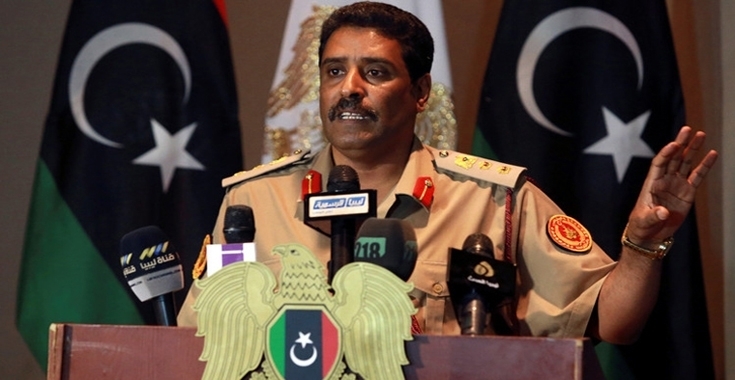 The spokesman for Dignity Operation, Ahmed Al-Mismari, stated that Khalifa Haftar has not yet ordered the attack on Derna, but their forces remain on standby, as he put it. Al-Mismari added at a news conference Wednesday that the attack on Derna could begin at any moment. As regards to the events that shook Tripoli yesterday, he said that “those adhering to the elections process should rely on the army to protect it”, stressing that with elections can’t be held with the existence of LIFG and the Muslim Brotherhood in Tripoli.